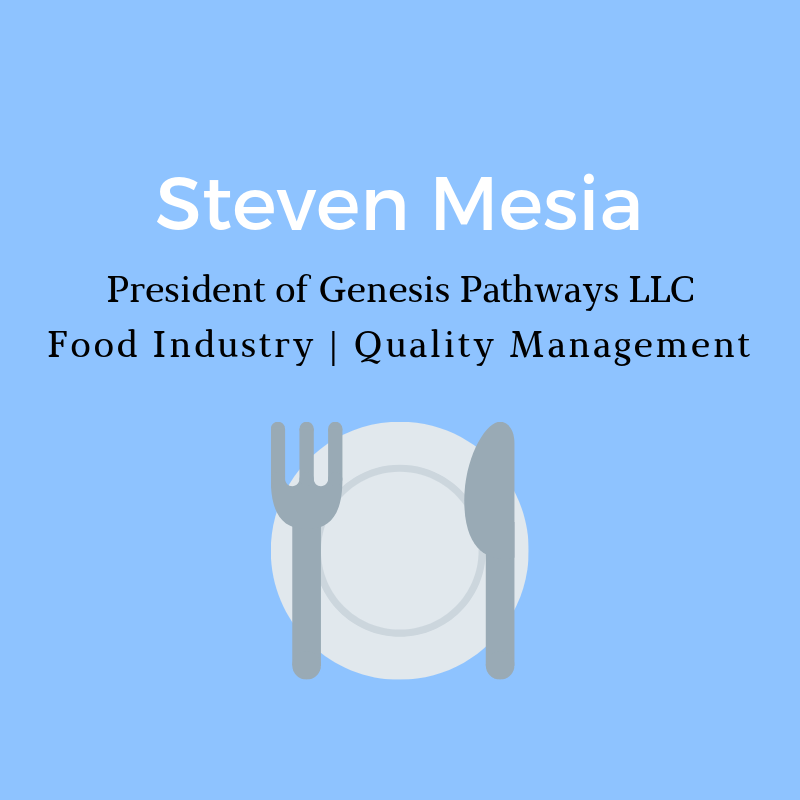 Steven Mesia holds over 30 years of experience in the food industry and currently stands as President of Genesis Pathways LLC, a leading company in quality systems improvements and food industry recall recovery. Steven Mesia is a globally-recognized member of the American Society for Quality. His membership is evidence of his impact on the food industry. According to the American Society for Quality’s Board of Directors, Steven Mesia is a leader in promoting, ensuring and maintaining expert level Quality Assurance in the food industry. In 2006, Steven Mesia founded his own company, Genesis Pathways, LLC. For over 12 years, he stood as the President of the corporation. Backed by his concrete career in the food industry, Mesia brought expertise to the table when establishing his own company. The experience proved rewarding. Having been directly responsible for the rise of Genesis Pathways, LLC, this venture has been one of his greatest career accomplishments. A leader in Quality Assurance, Steven Mesia looks forward to continuing a fruitful career in the food industry.